Buy Lydia Jane Alice a Coffee. ko-fi.com/lydiajanealice - Ko-fi ❤️ Where creators get paid by fans, with a 'Buy Me a Coffee' button. 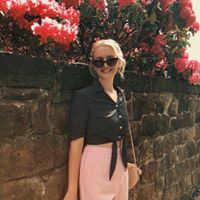 I'm a 22-year-old history geek who blogs about fashion, travel and mental health! I love promoting self-confidence and positivity in a world where we are constantly putting ourselves down. I think there is so much to be achieved by supporting one another and reaching our own potential! Secured Payments. Support goes to Lydia Jane Alice's account. Upgrade Lydia Jane Alice to a yearly Gold Membership with a one-time payment.